Bella Shop skin is clean, aesthetically pleasing with a lot of white spacing and fresh green accents. Store visitors will get an impression that they’re in the right place to shop for high-quality products. It works especially great for stores selling fashions, electronics, jewelry, natural cosmetics and more. 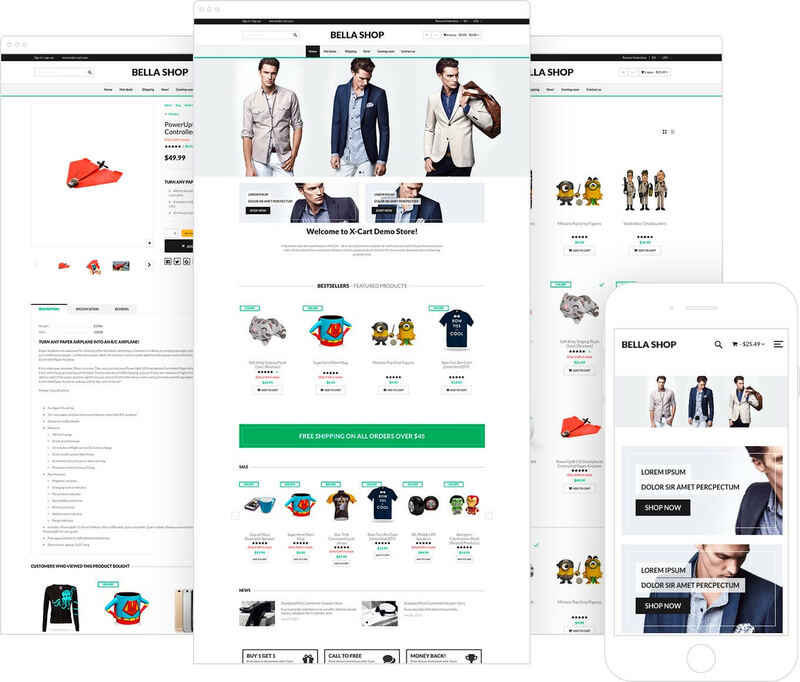 Fully responsive, compatible with all popular browsers and with well-thought layout Bella Shop guarantees best customer experience. The template has everything necessary for efficient presentation of your products, news, and special offers. All banners’ elements (such as buttons, texts, links etc.) are very easy to edit using default X-Cart Webmaster mode. With this theme, you can easily add an image to each news summary in your admin area. Bella Shop is fully compatible with such X-Cart addons as Product Tags, Tree-like menu, News, Bestsellers, Product Advisor, Featured products, Related products and almost all others that add additional blocks and elements to your website pages.